Early 2000’s pop punk. Now there’s an interesting genre. As someone whose formative years were, well, informed by so many of the bands that took pop punk from the sunny west coast underground to a critically and internationally recognized facet of rock, it is only in hindsight that I am able to realize just how intelligently bred the genre really was. From a marketing standpoint, pop punk was truly the best of both worlds––easy to sell to a young audience as pop typically is, and yet still cool, quick and rowdy enough to reside under the rock and roll umbrella. 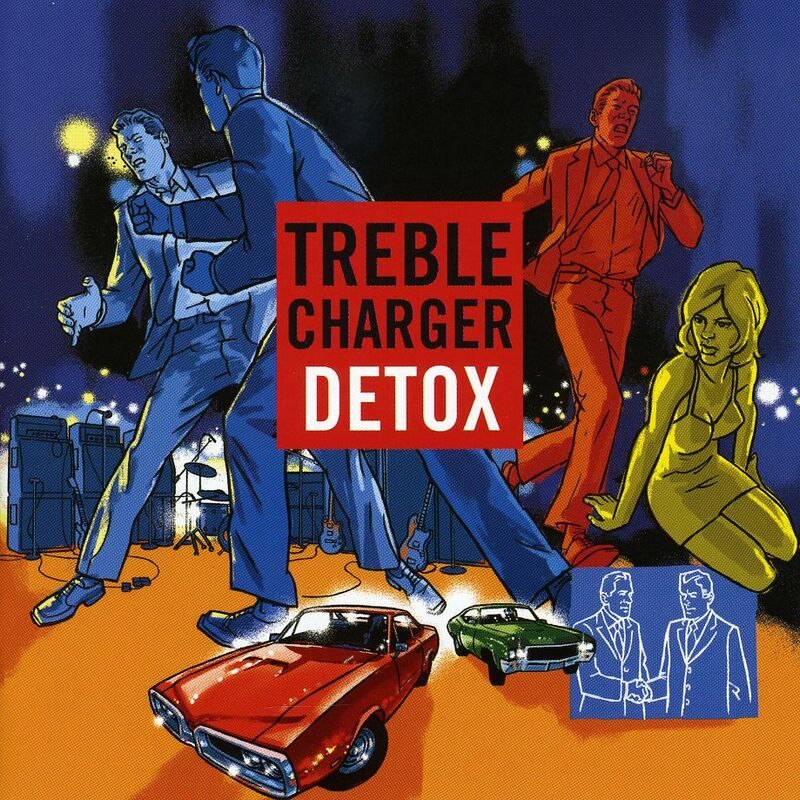 When Treble Charger released their 5th studio album Detox back in 2002, pop punk was at its absolute pinnacle. Having already reached critical mass largely thanks to international acts like Green Day, The Offspring and Blink-182, mainstream pop punk bands began springing up the world over and Canada was no exception. Produced by Matt Hyde and a then twenty-two year old Deryck Whibley, Detox was Treble Charger’s third major label release as well as the follow-up to their breakthrough album, 2000’s Wide Awake Bored. Spawning the infectious hit “Hundred Million,” which was the album’s leadoff single and an absolute monster of a radio-track, it erupted onto the airwaves in June of 2002 and featured background vocals from Whibley as well as percussion from Sum 41’s Stevo (Steve Jocz). The video for “Hundred Million” also topped the charts at home in Canada that year and featured cameos from several local acts including members of GOB, Sum 41, Swollen Members and even Avril Lavigne. With its pounding stadium style drumbeats, underlying three chord progressions, explosive crash chorus and unforgettable hook, “Hundred Million” was a solid pop punk song through and through. Unfortunately for Treble Charger, Detox didn’t yield any other songs that could remotely compete.